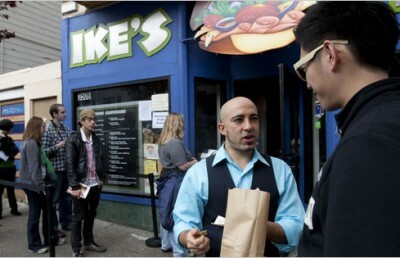 Ike’s Place, a popular Bay Area sandwich store, opened a new location in Downtown Berkeley on Wednesday. 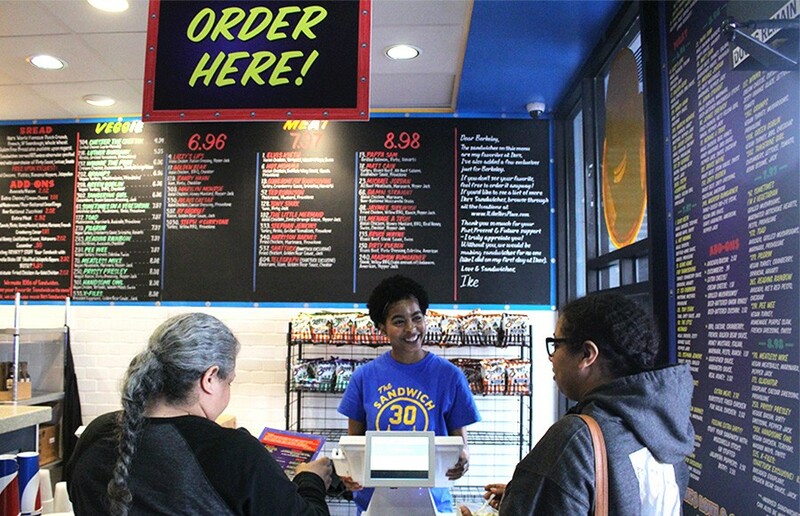 The new location on 2172 Shattuck Avenue features lunch pails, vibrant colors of purple and red on its walls and blue and gold graphics, which — according to customer David DuMolin, was a nod to UC Berkeley. Ike’s first began in San Francisco nine years ago and has since expanded to various locations around California and in Arizona. Ike Shehadeh, owner of Ike’s Place, said he first began the store with help from family and friends because of his love for sandwiches and his desire to work for himself. The store provides customers many sandwich combinations with unique names such as the “Lizzy’s Lips” and the “Matt Cain” along with numerous vegetarian and vegan options. In addition to existing menu items available in other stores, the Berkeley location will include four new, exclusive sandwiches — including the Golden Bear, Shattuck, Telegraph and X-Files. Many customers, including campus student Dian Jiang, have expressed excitement at the shop’s opening, noting the convenient location and broad dietary options. Jiang added that she plans on visiting Ike’s often for the vegetarian choices and creative names. The Berkeley location will be the first in the Bay Area to feature lower-priced items in exchange for slightly smaller portions under the “college-price menu” — an option that is already available at Chico and Santa Barbara, and will be introduced to Davis and Tempe. 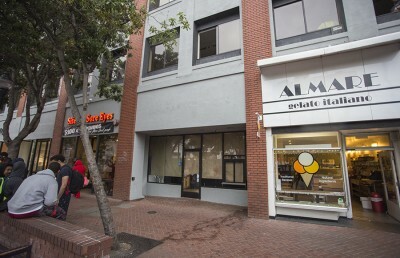 Shehadeh added, however, that the store would not only cater to college students but also to the entire Berkeley community. Chet Rohit, an employee at Ike’s for four years, said he believes the store will provide jobs for people in the community who want experience in the food industry. Although there are several sandwich stores already in the area, Shehadeh said he doesn’t believe they will be in competition with Ike’s because no one store can feed the entire community. Omar Proa, store manager of Cafe Panini, which is located across the street, said he believes his customers will continue to patronize his shop. “We for sure have our own clientele,” Proa added. Shehadeh said he hopes to bring “love and sandwiches” to Berkeley and plans on further expanding his store to locations in San Jose, Burbank and Newport, among others. Staff writer Christian Conable contributed to this report.